I have been chasing some beeflies for a while. It rained this morning and this afternoon, after the sun came out they were present in some numbers, and would land long enough to photograph on the ground. 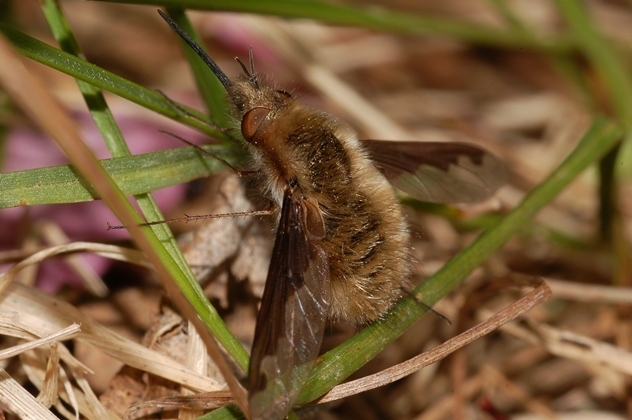 I think this is Bombylius major. Nature photographer from central Iowa. This entry was posted in Biological diversity, diptera and tagged bee flies, macro photography, spring. Bookmark the permalink.